This post is sponsored by Everywhere Agency on behalf of FAGE; however, all thoughts and opinions expressed my own. 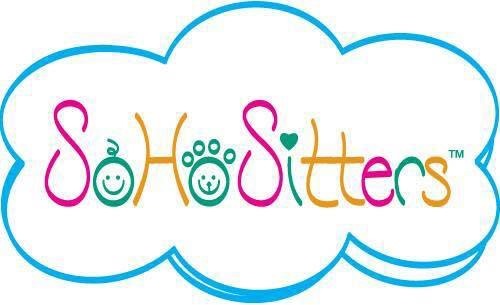 If you’re a busy parent like me who is knee-deep in back-to-school chaos (note: we are all busy parents), then you’re probably looking for new and fun ways to get your kids to eat healthy. While protein shakes, hardboiled eggs, and avocado toast all fit the healthy checkbox, they aren’t necessarily fun to make. The problem? 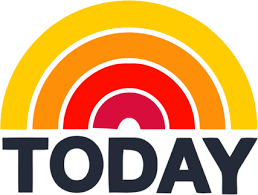 You’re so busy with your kids’ soccer and dance schedules that you don’t have time to search the internet for new recipes, and you dang sure don’t have an hour to devote at the grocery store wandering around the aisles to find obscure ingredients you don’t already have in your fridge or pantry. Well, here’s the solution, everybody! 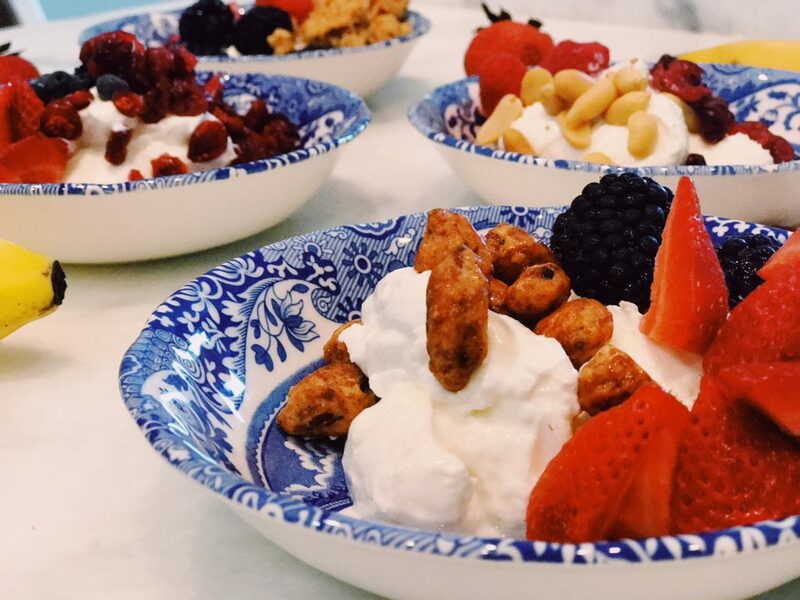 With the help of FAGE Total Plain Greek yogurt, I created my own yogurt bar. It’s healthy. It’s easy. There were no tears from me or the kids. My girls enjoyed eating their masterpieces nearly as much as they enjoyed making them. 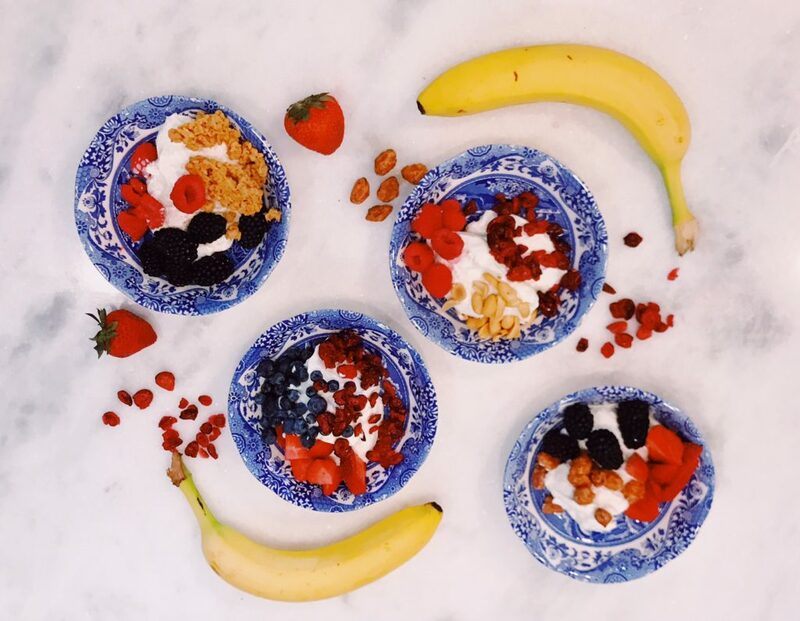 How do you create a yogurt bar? Simple. Use whatever nutritious toppings you want. 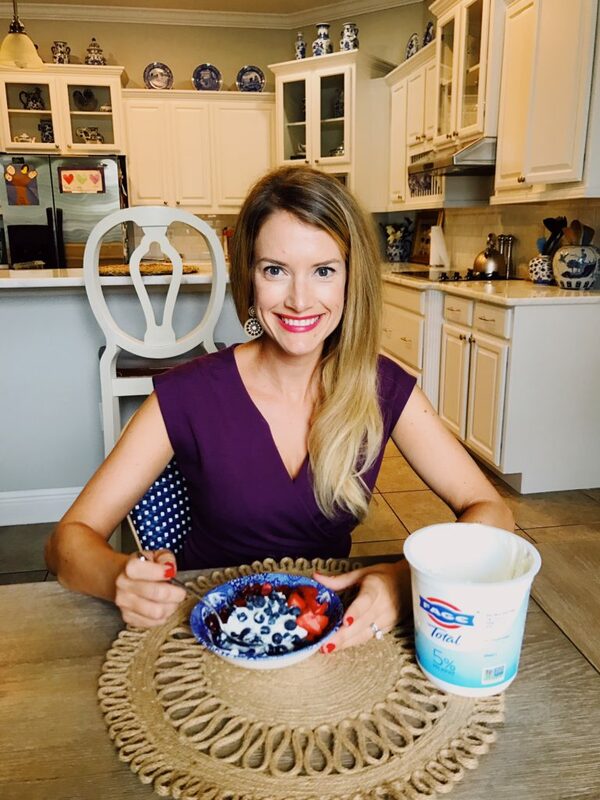 The process is simple: place the toppings in their own containers next to a cup of yogurt like you would do for an ice cream sundae bar and let your family choose which toppings they want. My husband’s favorite topping combination? He’s a peanut- granola- honey type of guy. My six year-old? She loves strawberries, raspberries, and blackberries. Me? My favorites are cinnamon toasted cashews, blueberries, and dried cranberries. My four year-old? Nothing because she’s four and picky. I realize that when shopping for groceries, the dairy aisle can seem daunting and there are tons of great yogurt options to choose from. 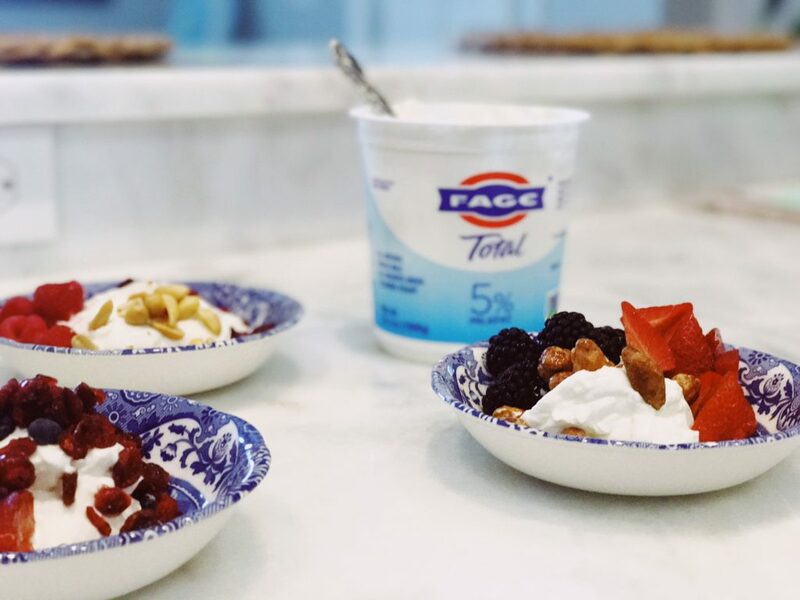 What makes FAGE Total Greek yogurt stand out from the rest? It is all natural Greek strained yogurt made with only milk and live active yogurt cultures. It is Non-GMO Project Verified and free of glutens, additives, and preservatives. 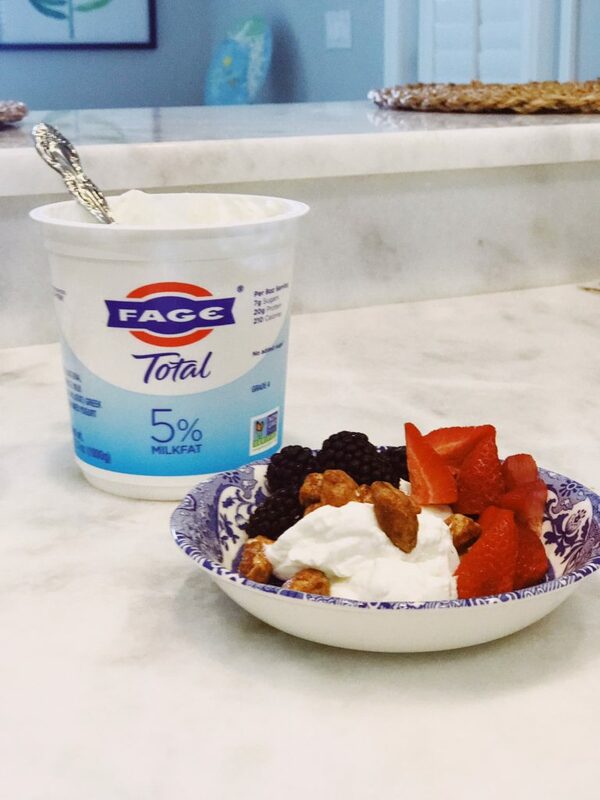 As it contains only naturally occurring milk sugar, FAGE Total yogurt contains no added sugars. Aside from tasting rich and creamy, FAGE is packed with protein and is a great source of calcium.